What ONE thing could the game have that would satisfy you? Make the gem harvesting tools somehow be available across all characters, instead of unequip to bank or shared inventory slot to transfer to next character. Easy fix mate just buy 1 set of permanent tools for each character no need to unequip to bank or shared slot anymore. Is this the right time of year to say SAB World 3? Thief + Greatsword = Samurai. I've recently decided to take a break from the game and the main reason is ANet just has a horrible design philosophy. They can't see past their own release schedule and it's a chore. I invited my roommate to play the game after PoF and the release of the Hall of Chains raid...well, that was a mistake. Go back through old content and it's dead. Just totally dead. Luckily he's not an achievement hoarder or anything. Dead set on mounts, I've just assured him he'll want the gliding masteries. But it's just totally ridiculous. Old maps are barely worth playing. Even PoF is hemorrhaging. Despite how fun the new map is...it's basically the only fun map that currently exists. I've ridiculed this before and it's just more apparent as I tried to play with a friend through it - content is designed to be played at release, not after. I'd like to see them work on their scaling algorithm more to help cull enemies and group enemies when populations drop. I don't blame anyone for not playing, for a lot of us it's crusty old content not worth going back to. But it's been frustrating and I can't see it doing any good for future marketing endeavors. Hands down, player housing, something that all of my gathering nodes and home instance stuff would be in, I’d have a selection of “plots” for to set up, and most importantly, that I’d be able to decorate with scribe. I love the idea of being able to make decorations and stuff via scribe, but unless you have your own guild hall atm, or are your guilds designated scribe it’s effectively pointless. Also, LWS1 coming back in some way, shape or form. Something I've never seen suggested that I would love to see is a much better preview window. Allowing you to preview main and off hands, and allow you to preview dyes without going to the trading post and searching to preview with only 4 slots that dye the whole armor set. Also a wider window for larger characters. * improve the balance of underwater weapons so we could finally get some meaningful underwater content on the new maps. Lessening, or removal, of the focus on crafting. Make minis moving simultaneously as you are moving... It's anoying to wait for minis coming to you 1 year after. Don't know, increase their speed and erase the delay of detection! Also, add missing important ones: Professor Gorr, Kudu, more Hydras, more awakened, Wyverns, golem mark II from Inquest but with the new skin, golem mark I , Golem mark II WorldBoss (mark Y).... And of course, Blish and Gorrik! A deep, immersive underwater expansion to explore and get lost in. A "hide other players effects" option so i can play without ppl slowing down the already horrible performing game. A new race (i designed one) that has a story that starts after morth died and the gods left. I'd really appreciate more improvements to Scribe. 1) Making the lattice available sooner, preferably at lvl 25 since recipes require it that low but it can't be bought until your guild level is TWENTY-THREE and your Market level is Three! That's ridiculous. Given that 1) small member guilds may NEVER get to 23 and 2) mats you don't need until level 300 are available on the scribe shop vendor immediately. It's not right to have to join a huge guild to get a few items to use in your small guild. Just make lattice and glue available sooner. It's not that hard. 2) I'd like more decor to be able to be placed in one area. Taking out a wall, a chair and a table only to be told I can't put a single candle in their place is kind of absurd. I tried to place a plush sofa, 2 plush chairs and 2 end tables in a spot then thought, oh hey, a rug would be cool but no. Too much decor in this area. 5 pieces of decor is max? Why? Because the 'walls' of the room count as... decor. Really? So block off a small space with walls and try to make a 'sitting' area and get told no. That... is ridiculous too. Please, just add the lattice to Cullen so I can make larger better walls that only count as 1 decor instead of having to make several panels. 3) I'd like 'areas' to be defined by a line shape on the floor or something while working in that area so that people know where the borders of the 'area' are. Then I can just build walls on the outside edge of the 'area' and have more room inside it for actual decoration. Removing 'global' cooldown on instrument notes and make the cooldown 'local' instead where each note has its own cooldown instead of each note sharing the same cooldown on each octave. Note: The reason Anet will not unlock the instruments 100% is because of players who can use troll scripts to spam 1,000 notes at a time and cause a map to crash. However, even if each note had its own 'local' cooldown instead of a 'global' cooldown, that will still help with playability issues in the musician community. Furthermore, adding flats and sharps on two separate skill bars, one one top of the other (one additional skill bar for flats, and the other additional skill bar for sharps) where we can map each note to a hotkey will also be nice so we can play the music we want for other players instead of making very odd translations of songs in the wrong key. I'd like to have more storage streamlining, from books to old marking legacy items that will never be used ever again and collectibles we no longer need. That'd be cool. It always sorta bugged me when people are like "it's content for musicians!" - I'm just like...what? Last time I checked, I didn't have some arbitrary reasons why I couldn't play a chord on instruments. GW2 instruments are to musicians like decorative font is to typography...not that relevant to each other. Fully operational Black Lion trading Company app for Android and/or iOS. Direct (uncockable) portals/teleporters from one home instance to another and/or LA. Dungeons new reward system or lets call them "static fractals"(sic) and include them to the fractal system with their unique rewards (Scalon tears, etc.). Use all for tonics, fireworks, drinks.... any achievement consumables you can think of. I'd really like for the inventory to be less of a minigame. We get soo many items and spend most of our time breaking down or selling them. Some apparently can't even be sold so they always take up space in your inventory unless you destroy them or something, which is another minigame altogether. It'd be nice to be able to either salvage or sell everything for some sort of gain from it, maybe materials give some form of currency when salvaged. And possibly reduce the box within a box factor in terms of rewards. Opening chests isn't exciting when you know you won't get anything that can be of use to you. Early on i can probably justify it but it becomes unnecessary and annoying later. Also, not necessarily something that the devs can change, but It'd be nice if the community was more helpful and welcoming, and simply took a moment or two to help the newer or less experienced players. Not saying I have a ton of experience myself, but I try to be helpful to others when I can. I've met some really nice people don't get me wrong, but I see a lot of cruelty piled on top of that. Players turning others away and throwing insults instead of walking them through things. Even just passing tips when they're doing badly would be a nice start, or in the least, keeping non-constructive or hateful comments to themselves. Some don't have the patience to deal with those they believe to be 'bad players' apparently. But what I don't understand is that if that's true, why do those people 'waste' their time speaking ill of others. If you have the time to insult people, that same amount of time can be used to simply offer a helpful word. I know this is probably an overused statement, but, we were all new at some point. Finally, I'd like for combos to be more of a focus instead of the passive buffing we seem to have now. The combo system is really fun to me, but it feels overshadowed by the fact that we can stack many buffs passively for far less effort. I'd just like for combos to have more of an impact, as it feels more rewarding when you set up and pull off a combo, rather than simply pressing a button or two to get max might stacks from a passive ability. Build templates. I pretty much never change mine because I'm too lazy but I'd like to be encouraged to experiment more. Exactly this, for the same reason. My #1 request would be build templates (or even macros idk). I saw nice suggestions, but this is like a top priority. We need this, pleeeeeeease. Interactive environments so I can finally take the trait that negates fall damage. "Oh no WvW zerg!" *runs up a tree and 5 warriors drop down on the passing zerg interrupting/damage what have you to create a fun ambush experience. Paladin spec where you get to wield weapons/ attack on/ from your mount. A new race to play like one of the Ghosts, Orians, Frog people, Quagan, or Centaur's. Way(s) to make more gold faster. There's so many things you want to buy in the Black Lion Trade and gem store but just don't have enough golds to buy them. More waypoints in the later game. There are so few waypoints that exploration is almost prohibitively dangerous, and jumping across the map to help someone is ridiculous. In the newer parts? Even if I have the time and motivation to do that event/boss/whatever, I usually decide it's going to take far too long to get there - if I ever get there at all, some of the HoT maps are almost impossible to navigate (at least for me). So unless the idea was to isolate the players and reduce the willingness to help, I'd reverse that and add more waypoints. Alternatively: completely rework how the mastery point system works. I don't want to have to rush through the storyline to get the mounts just so I don't constantly waste XP. Or have to force-grind finding mastery points, for that matter. It takes away the fun of actually PLAYING the game. At a time, I liked my account name. But by now I'd prefer to use my character name - Rejutka Lupex. and allow you to preview dyes without going to the trading post and searching to preview with only 4 slots that dye the whole armor set. You can literally do this from the dye menu. Less visual effects: I find the overload of visual effects a spoiler to the game in many different ways. In raids, where identifying the different mechanics relies a lot on seeing the corresponding visual effects, it is for me a killer. 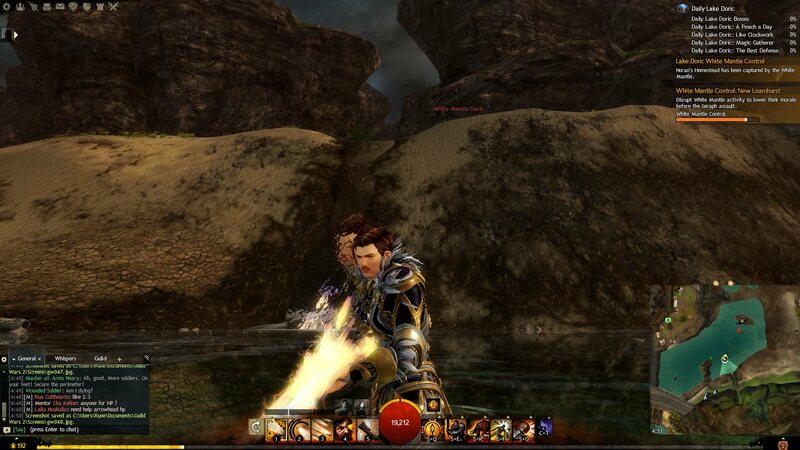 In WvW, in fight squad vs. squad, everything suddenly becomes a giant yellow cloud, blinding/hiding everything around. In PvE, I find it less disturbing, except for certain meta events where it almost reaches the level of WvW fights. On a side note: For me, visual effects is not alone a problem. It also combines with giant backpacks and giant gliders, that hides/blocks the view when running/fighting with a tight squad. 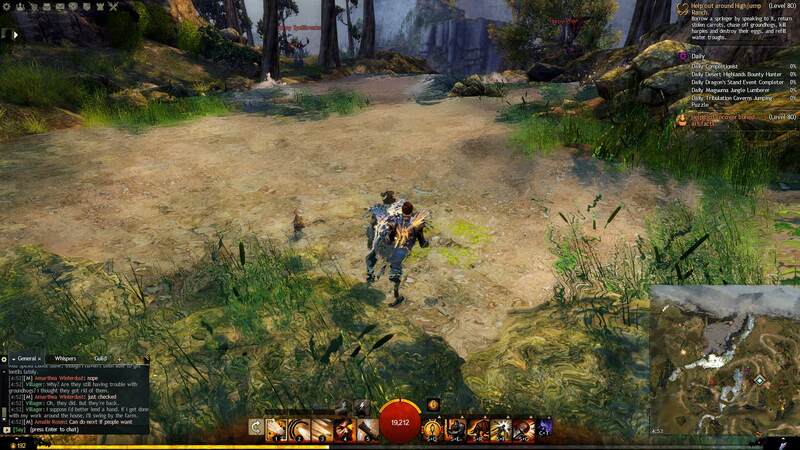 Personally, especially in raid and WvW, I would like to have an option to hide backpacks/gliders of others. Don't misunderstand: I do love my backpacks and gliders, and want them to be visible, but somehow, there are situations where they are simply disturbing, no matter how nice they are. Try not to make this feature all Gem Store like the mounts, have a branch of scribing to make furniture. Overhaul of transmutation, outfits and armor/weapon options. Making your Wardrobe separate from gear and allowing to have multiple sets of outfits made through wardrobe that you can swap easily. Being able to color weapons and their visual effects. More customizable attachments to your wardrobe not limited to the 6 gear slots. Certain effects that are armor should be allowed like winter and Halloween items for example. Include certain items (Mystic Chromatic Ooze, Embiggening, Miniature tonics, etc) that apply a cosmetic effect to this. Separate hats, glasses, masks as their own cosmetic options. Allowed to wear a hat and glasses at the same time. Separate infusion auras from infusions in general. Why must I have to wear gaudy effects to have the +12 to all stats infusion. Scribing station in home instances. First id want the glowing skin condition player characters suffer from removed or toggleable. 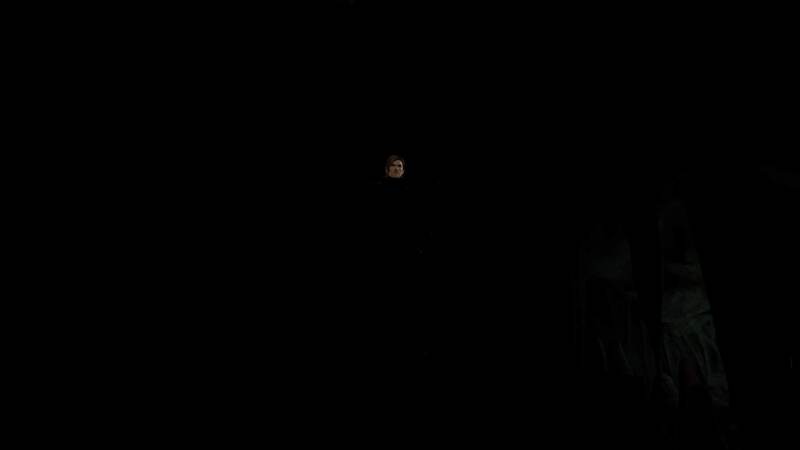 Kills immersion when i can see my characters floating head whenever in dark areas. Second, id love if the games poor reflections got fixed or removed entirely. Even with reflection setting set to OFF there are still weird visual things happening with the moving river asset used mostly in Maguuma and Desert Highlands. What one thing could be added, removed, or changed in the game that would make you happy? It wouldn't fix everything in the game, but it would satisfy you personally for a long time. Buff core engineer and its' kits, also nerf Holosmith so that it can't use healing and utility skills while in that form, similar to the necromancer in Shroud form. Holosmith is a glass cannon with too much sustain to even be called a glass cannon. Core Engineer is the most rewarding, but also the most difficult profession due to the amount of things you need to consider with the profession. That is the reason why you don't see engineers playing core, but instead they play Holosmith because it's easy to play. I know SAB is over by now but if you look closely at the second of the unavailable maps you can see it's partially underwater. Underwater skill re-balance coming soon. Speculation about more underwater content in the near future. SAB underwater zone next year! Can't pick just 1 thing, there's lots of things I'd like and I have a hard time even putting them into order of priority. I'd love to see an underwater mount. Doesn't need to be anything fancy, just one that swims faster (like an aquatic raptor...aquaraptor?) is fine, but if it could also shoot you up to the surface on command that would be brilliant. SAB World 3 of course, and eventually 4. New races and/or new storylines which are specific to our characters rather than the same thing for everyone. Even if it's just little optional side stories it would be fun (for me) to do that again. The return of the Queens Gauntlet, maybe the Festival of the Four Winds too. I miss the Labyrinthine Cliffs. And I know we're getting this already but more maps. It especially bugs me that there's some little patches in between maps which we can't access, one rectangular one in the Southern Shiverpeaks, one between Rata Sum and the Grove (and again between Rata Sum and Dragon's Stand), one between Southsun and Sparkfly which actually has a road leading into it in Sparkfly but it's blocked off with a rock. I'd like the path between Ebonhawk and the Crystal Desert to be re-opened at some point as well. We can reach both ends of the path but not the bit in the middle. An in-game journal I can write notes to myself in. And a map I can write/draw on like in the 3DS Zelda games. I'm sure there's more too, but I can't remember everything I wish this game did all at the same time. Brilliant cut-scenes, of a good length, with a great environment, characters, soundtrack and voice actors to FIT. I thoroughly enjoyed many of them in GW1, and they were noticeably on a tight budget then. I have not been so impressed with the majority in GW2, though, there are some that are of great quality, albeit many times being too short. Basically, queens jubalee with seasonal battle passes with unique challenges and rewards every season. Solo content. Secondary professions like gw1. Hero system like gw1 for pve. More variety regarding armor looks (no more buttcapes!). A Trading Post that didn't bug out after too many trades would be awesome. The ability to search for specific items via class or type (i.e., leather armor only search) would be helpful too. That's easy: Cantha. I must return to my homeland to investigate the death of Master Tao and the theft of the Jade Katana.